AimVenture has brought together the top Pay-Per-Click (PPC) innovators and experts in the world. Our staff includes the pioneers that were instrumental in the initial development of PPC advertising. They developed the optimization training used today to internally train search engine employees. PPC is an Internet-based advertising model, where advertisers pay the site that hosts their ad only when their ad is clicked. 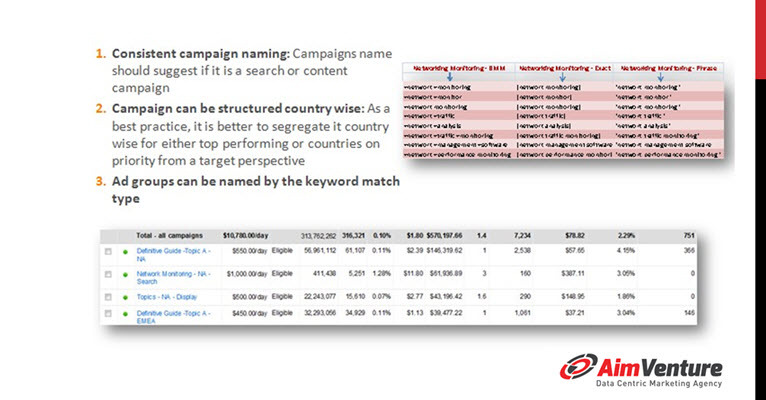 Advertisers bid on keyword phrases relevant to their target market with the search engines. Contact us for a consultation, personalized assessment and detailed payback analysis. Track Record – AimVenture’s unparalleled expertise, attention to detail and strong customer service has created numerous successful PPC campaigns for some of the world’s biggest companies as well as small start-ups. Comprehensive Marketing Approach Our PPC efforts are supported by years of world-class experience in sales, marketinig and business strategy. We are a full-service marketing agency, although our specialty is internet marketing. This leads to a more balanced online campaign with your PPC efforts supported by an effective website and internet marketing program. 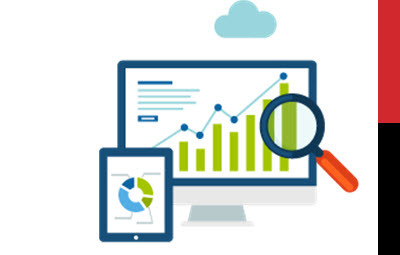 Pay-Per Click – By leveratging our Marketing Intelligence Assessment, we can find online business building opportunities while improving your PPC advertising investment. We can drill down to truly address the audience most targeted towards your particular product or service. Whether it’s geo-targeting, purchase intent or an industry specific audience. Data Mining – AimVenture has key alliances with a host of proven resources for specialized internet marketing challenges, data collecting, and analytical research. AimVenture Corporation is a consortium of over 20 Search and Social Marketing Professionals. We work together to provide solutions for every aspect of your internet marketing campaign. We provide a team of professionals who each have proven track records and years of experience in their areas of expertise, plus we each have strong working relationships with each other. Combined, we have over 150 years of experience designing websites, web systems, Internet and traditional marketing campaigns. We initially provide a Marketing Intelligence Assessment to determine your unique marketing challenges. Our team understands that a successful internet and search engine marketing campaign requires a strategic integration of services and teams. 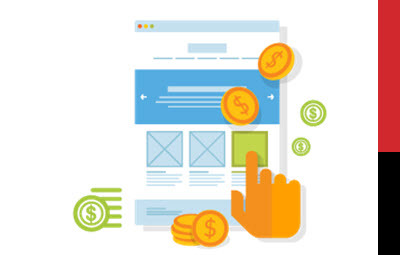 Once we drill down t the your most essntial data, we will then have an insight into how to design you pay-per-click marketing campaing to provide the results needed. No one marketing tool is capable of solving all of company’s challenges. This is the winning edge the AimVenture team brings to the table, their long experience in providing comprehensive traditional and cutting edge marketing solutions. Our command of such a wide array of marketing tools by our team provides a balanced marketing program for our clients. We will analyze your current campaign and make recommendations based on our findings. This evaluation process means you pay the least amount necessary to achieve your PPC campaign goals, which allows you to avoid profit draining issues and allocate those profits towards more essential business processes. We track how well each of your keywords converts during the month. Your keywords are monitored on a daily basis to ensure your campaign maintains a fresh, yet competitive, approach. In addition, we will use our advanced keyword research tools to identify high volume keywords and analyze the competition’s PPC strategy to provide you with effective, data-driven recommendations. Google Display Network allows you to advertise on other websites, including mobile sites, with images, videos, and text. We can help you optimize your Google Display Network campaign for contextual, interest-based, retargeting, and demographically-based advertising. Communicating with clients is one of our primary strengths. The typical PPC reporting analyst compiles data from Adwords into Excel, which may be more appropriate for professionals interacting with PPC on a daily basis. However, we have our own proprietary reporting tool that makes PPC campaign especially easy to understand for our clients, who typically do not have the time necessary to interpret all the information on their own. 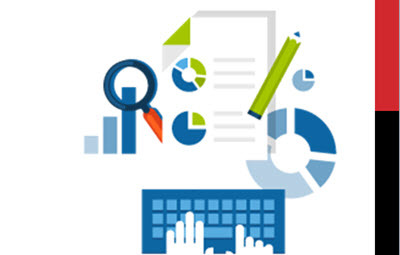 Any customized reporting option you require. To analyze the ongoing success of your PPC search campaign, we use Google Analytics. Our knowledgeable team will implement this tool to assist in monitoring your PPC campaign goals for ongoing success. This is a quick and simple review and audit of your digital marketing campaign status and performance to gauge levels of engagement with potential customers, effectiveness of your channels for conversion, and overall impact of your campaigns on your bottom line.Click Here To Order! A deeper analysis of your competitors existing digital marketing structure and channels to gain a more detailed understanding of gaps between what exists and what you are aiming for. Here, you can identify which channel should be prioritized, optimized and which will bring you the biggest opportunities. This is an assessment of the capabilities and qualifications of your digital marketing platform, identify new channels of visibility opportunity to acquire new customers, built retension to increase short-mid term revenue goals. We create digital marketing campaigns to produce desirable results.